Here is the world's most famous master plan for seizing and holding power. Astonishing in its candor, The Prince is a disturbingly realistic and prophetic work on what it takes to be a prince, a king, a president. When, in 1512, Machiavelli was removed from his post in his beloved Florence, he resolved to set down a treatise on leadership that was practical, not idealistic. The prince he envisioned would be unencumbered by ordinary ethical and moral values. 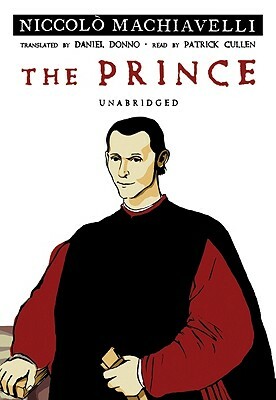 Through the years, The Prince has been misunderstood to the extent that Machiavelli's name has become synonymous with unscrupulous political behavior. However, it remains essential reading as the ultimate book on power politics. In it Machiavelli analyzes the usually violent means by which men seize, retain, and lose political power. The Prince provides a remarkably uncompromising picture of the true nature of power, no matter who controls it or in what era. Included are selections from Machiavelli's Discourses upon the First Ten Books of Titus Livy.